An employee lawsuit may see a Maine dairy company on the hook for millions of dollars, according to a report from the New York Times. Truck drivers with Oakhurst Dairy sued the company back in 2014, alleging that they were owed four years’ worth of unpaid overtime. The court decision handed down Monday could pay out members of the class action $10 million, but it wasn’t standard legal precedents that won the day for the plaintiffs. Instead, it was a lesson in grammar – more specifically, the use of the Oxford, or serial, comma – that may end up costing the company. 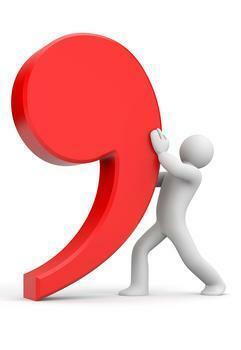 For those of you in need of grammar refresher, Oxford commas are punctuations that often show up when listing items. For example, the second comma in a list like “eggs, milk, and bread” is an Oxford comma showing a clear demarcation between the items. This makes it clear, at least to the careful reader, that one's parents are not in fact modern celebrities or fairy tale characters. It's not only the serial comma that's important, of course. 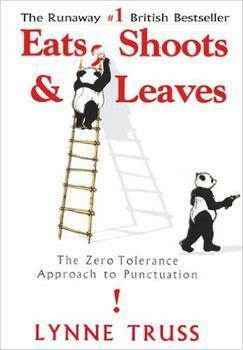 Perhaps the best-known example comes from "Eats Shoots & Leaves," a somewhat wry best seller of a few years back, penned by fed-up editor Lynne Truss. The title refers to the diet of the panda, although the strategic addition of a few commas could modify it to describe a gentleman's quick visit to his mistress. You’ll note that there is no comma after the “packing for shipment” section of the law. The question that arises, then, is whether the law intends to exempt the distribution of the three categories or specifically "the packing for the shipping or distribution of" those items. The plaintiff truck drivers argue that they do indeed distribute those items but don’t pack the boxes themselves. Therefore, they say, it should follow that they are applicable for overtime pay. An appeals court on Monday said that the lack of a comma created ambiguity and uncertainty and sided with the drivers, reversing a lower court decision. Between 2010 and 2014, the drivers earned between $46,800 and $52,000 per year and worked an average of 12 overtime hours per week. So, the suit could pay out $10 million to 75 drivers in the class. David G. Webbert, the lawyer who represented the drivers, wasn’t shy about saying that the comma was a make-or-break facet of the case. “That comma would have sunk our ship,” he was quoted as saying in an interview on Wednesday. Oakhurst Dairy, meanwhile, has reaffirmed its belief that it is on the right side of the law. “We believe we’re in compliance with state and federal wage laws, and we’ll continue to defend ourselves in this matter,” said President John. H. Bennett on Thursday. Bennett also echoed advice that many writers may have heard from college professors and teachers growing up; if there’s any instance of ambiguity, just go back and rewrite the sentence.